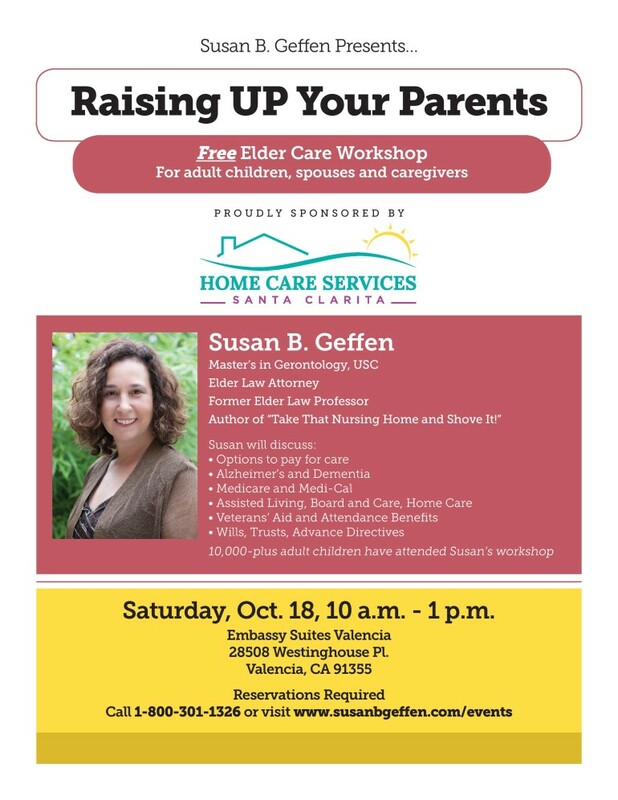 “Raising UP Your Parents!” Presented by Susan B. Geffen You are cordially invited to Home Care Services Santa Clarita’s elder law event..
Free Elder Care workshop for adult children, spouses, and caregivers. Presented by Home Care Services Santa Clarita. Saturday, October 18 10a.m. – 1p.m.